Decorate Me Pretty: What an Item! Hey Folks! If redecoration is on the cards for your home, today's post might work as some inspiration. Here are some simple yet brilliant items which made me let out a ''wish i had it'' Sigh! 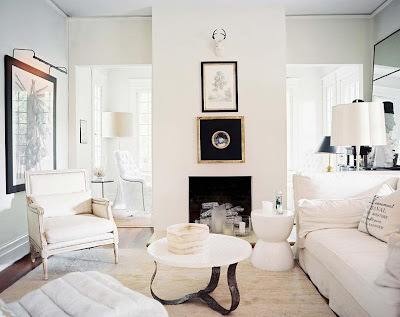 I love the way the framed pieces of art and the false head are placed over the fireplace giving a streamlined look. In an Indian home this look could work very well over a console table set up in the living room or the foyer area. Among other things on my list of 'must haves in the house', bookshelves hold a special place. Look how this pair of bookshelves alone in this room is making it so bright & lively. This simple design of a bookshelf can be easily made and is also available in most of the home décor stores. Just add some bright coloured books and artefacts to it and we can liven up any room or corner! This design of chairs is evergreen & goes with any kind of set up, traditional or contemporary. In my opinion it would look best in dark wood with a soft coloured upholstery. 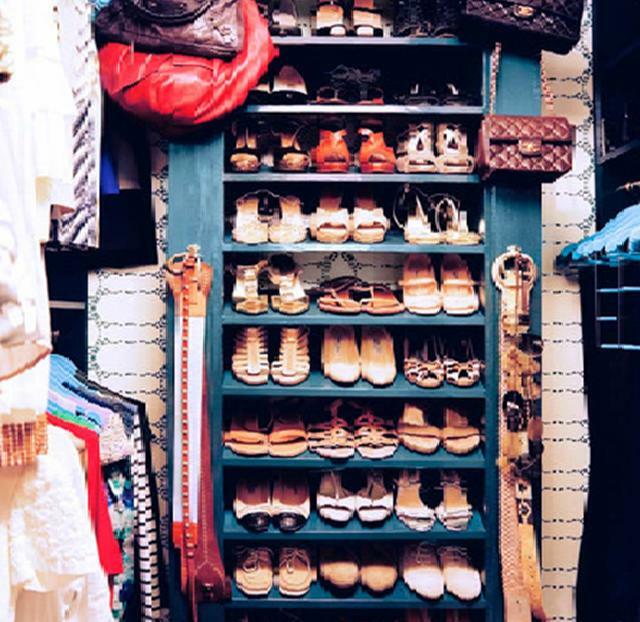 A shoe rack this size in the closet is every shoe obsessed girl's dream (and yes I belong to that league) and if it came in this shade I'd run and grab it! 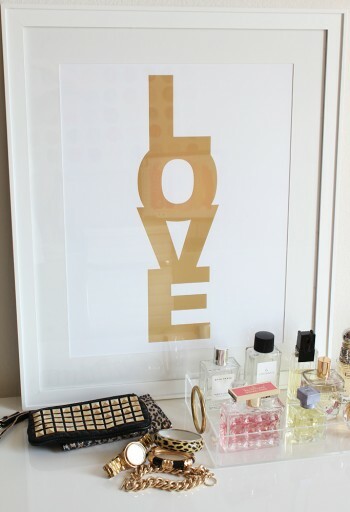 This Love poster in gold can be used to add zing to any room. You can buy this online in a colour of your choice here & this mirror over the console is a stunner! 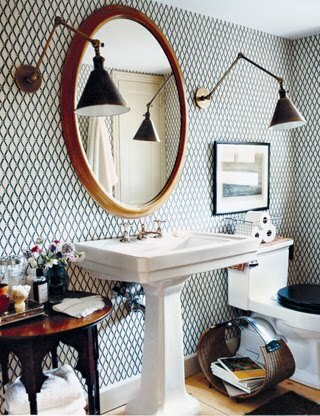 Try a round or oval shaped mirror over a square sink in the bathroom, I find this look very interesting. And do not miss the WOW magazine holder on the floor! I know its only my second post, but being a bit of a visionary (Yes! That's what I like to call myself sometimes) I can foresee many more posts in future which will be based on such interesting items in particular. So from now on all such posts will go under the section labelled 'What an Item'. Hope you enjoy this as much as i did. I would love to hear your feedback...Tschüss! wow....i love the magazine holder and the shoe rack. great job dear. cheers!!! ~ooooooo~ I superlike da oval mirror....Naiceee Stuff Misha!! Ur doing a great job and I think this is what u shud be doing, and not doing what ur doing now, coz that is what u don't want to do and this is what u would lov to do. great blogging skills I must say. I agree with Mr Mobigyan. Self-realization is very important about anything/everything. Anyways ...Good Compilation skill misha.